For my second simple SEO tips post, I thought I would look at backlinks and how to get them. People who are just starting out in SEO (search engine optimization) will read over and over again about the importance of get backlinks for you business website promotion, usually in relation to improving a website’s ranking in Google search engine results and raising levels of internet traffic. In this post I will, therefore, answer the question: what are backlinks; plus I will explain why backlinks are important; and finally, I will show you how to get backlinks. Backlinks are simply any link (also known as a hyperlink) which takes someone clicking on it to your website or post from another place on the net. The terminology can seem a little confusing at first, but they are called “backlinks” simply because they are “links” that take people “back” to your website. It’s as simple as that! The importance of how to get backlinks should never be underestimated. Backlinks are one of the main deciding factors for how much traffic your website will receive. They bring your website traffic in two ways. The first way that backlinks bring you traffic is direct, that is to say by people clicking on the backlinks and coming to your website. The second way that getting backlinks can help you is more subtle and is related to the way that Google works. 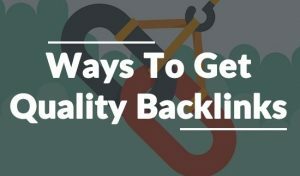 Basically, Google assesses how important a website or post is partly by the number and quality of backlinks that it was going to it. The more backlinks that you get, at least in theory, the better your post or website will do in the Google rankings. To a website before it calculates how high it should put the website in its search results. There are complications, however. 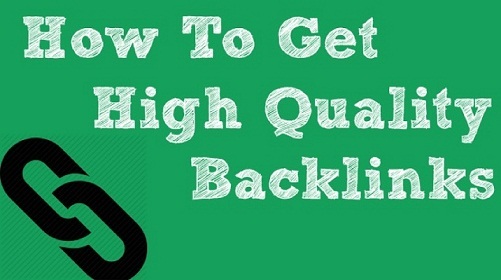 Firstly, it is not just the number of backlinks that matter, but also the quality of them. Google assesses the quality, mainly by how highly it perceives the website that your backlinks are posted on. Sometimes, if Google has a low opinion of the website that your backlinks are appearing on, the backlinks will be classified as “no follow”. “No follow” means that the backlinks will effectively be discounted when Google makes its calculations, effectively rendering them useless. Even when the backlinks are taken into account, they are not all treated equally. Google will value backlinks posted on certain websites far more than others, according to highly Google rates the website in question. There are a number of ways to get backlinks, here are my simple SEO tips. So you will find your question How To Get Backlinks from here. First of all, you can do nothing. If your website is well written and has content that people want or need, then you might well find that people backlink to your articles and website over time and your number of backlinks gradually build up over time. I generally wouldn’t recommend this approach the danger is that even if your website is very good, it might not get noticed and languish on page 9 of Google search results where it won’t get noticed. I would recommend a more proactive approach if you want to achieve SEO. A second method is one of those recommended by Google themselves, which is to visit blogs that are relevant to your own website and post a comment along with a link to your website. This is a time-consuming but effective way of getting backlinks. Your comment must be relevant, however, which means that you have read the blog that you are commenting on and write something pertinent – otherwise, your comment is just spam. If you are writing a blog, then guest blogging can sometimes be an effective way of increasing readership and getting backlinks. Especially if you are guest blogging on a popular site, when the quality of your backlinks may turn out to be higher. 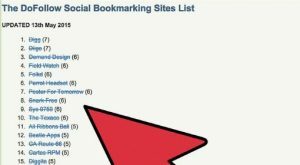 Another method that people use how to get backlinks is to use automatic backlink building tools such as Social Monkee these programs will create multiple backlinks for your post or website (in the case of Social Monkee you get 25 per day for free) on social bookmarking sites. Google doesn’t like links that are built this way, however, and will discount any of these links, if it finds out that they’ve been submitted automatically. For this reason, programs such as Social Monkee have ways of covering up what they are doing and they encourage users to vary the titles and descriptions of the links that are submitted so that Google doesn’t spot that they have been automatically submitted. Some of the link building tools also stagger the timing of links are submitted to social bookmarking sites too. You can, of course, submit backlinks to your posts and website(s) to social bookmarking sites manually yourself, of course. You can also tweet, post on Facebook, email links, and use websites such as Stumbleupon, Digg, Reddit and She Told Me. I would be cautious about getting involved with any websites where deliberate arrangements are made with other people to link to each other. These are sometimes nicknamed “Link Farms”. Having said that, if you link to another site that is relevant to your post or website as a matter of course, they will very often link back to you, which is ideal and perfectly legit. There are also some far more technical ways of artificially boosting a website’s rankings in the Google search engine results, which I won’t go into. Google takes a very dim view of these so-called “black hat” methods and will punish a website severely if it finds out about them.